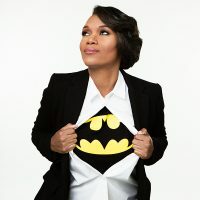 Facilitating, planning and creating programs for Peer Educators with a keen eye for detail and insights from her Bachelor’s Degree in Television, and Digital Media Production makes Callie Brantley a key member of the Teen HYPE Social Justice League. Her super power is the ability to send out energy that lights a room even in the darkest of times. Her powers shine brightly as she manages in-school programming and oversees youth development and prevention programming for Peer Educators. She is also an ambassador and advisor for the Youth Advisory Council, assists in preparing youth for theater performances, coordinates media projects and is a certified H.I.V tester and educator. Her fire is fueled by her passion to serve youth and help them achieve lasting success.